The Pony Club Association of NSW. Club listing and locations, coaching resources, events and management. Is Your Horse #CBR- Competition Body Ready? Get your horse in peak fitness for the upcoming compeition season. April State Newsletter Out Now! View the entire map of NSW Pony Clubs including individual Club information and contact details. Is a complete online membership management system available for Pony Club officials. Purchase all your Pony Club NSW apparel and merchandise here through a safe and secure online payment system. 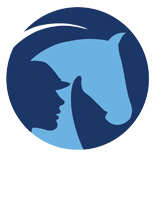 View Pony Club horses for sale, or advertise yours to the Pony Club market. Official forms for member, club & zone use. Including annual reports, mail outs, meeting agendas and meeting minutes. How to minimise risk for your Pony Club and its members, whether as financial loss, physical injury, damage or abuse. Nine State Championships are held annually in various disciplines. Find dates, locations and entry schedules here.